In today's busy world, finding the energy needed to get through the day can prove a challenge. Fortunately, by trying some tasty snacks, you may find that you have all the energy you need. For a quick boost of energy, eating a snack that contains plenty of healthy carbohydrates is a must. According to the United States Department of Agriculture, one medium-sized banana provides 27 grams of carbohydrate, which is about 12 percent of the recommended daily intake for individuals following a 2000-calorie diet. 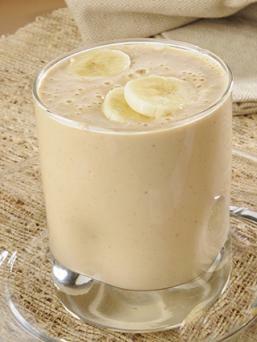 Nut butters make a great addition to banana smoothies because they contain slowly-digesting protein, which can help sustain energy levels and prevent a sudden crash. Put the first five ingredients in a blender. Divide the smoothie equally among four glasses. Top each with a sprinkle of nutmeg. 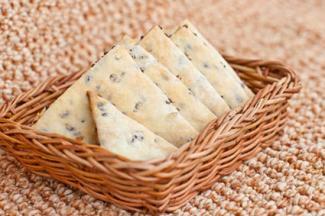 When it comes to snacking on the go, crackers are often a go-to food. Unfortunately, while the simple carbohydrates found in most crackers may promote increases in energy for the short-term, the subsequent crash can be severe. Flaxseeds are an excellent source of complex carbohydrates, notes Marcia Nelms, Kathryn Sucher, and Sara Long in Nutrition Therapy and Pathophysiology (page 392). They provide enough energy to make it through a long day or difficult workout. Be sure to grind the flaxseeds before incorporating them into this recipe to access all of their valuable vitamins and minerals. The recipe yields 40 crackers. In a large mixing bowl, combine the flaxseed, flour, salt, and brown sugar. Using an electric mixer, beat the butter into the flour mixture until coarse crumbs form. Carefully fold in the walnuts, figs and milk. Refrigerate the mixture for 20 minutes. On a floured surface, roll the dough out to a 1/8-inch thickness. Use 2-inch cookie cutters to cut crackers out of the dough. Place the crackers on a parchment-lined baking sheet, about two inches apart. Bake for 20 minutes, or until golden-brown. According to the American College of Sports Medicine's Guidelines for Testing and Prescription (page 74), excess fat, that which is not required for basic physiologic processes, is often stored in muscles and used for fuel when energy levels begin to decrease. It should come as no surprise, then, that snacks that include moderate amounts of healthy fat are ideal when it comes to boosting energy. The healthy fat found in walnuts can not only increase energy, but can also protect your heart. 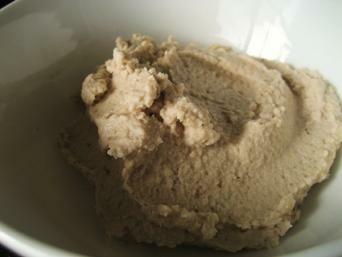 Pair walnut spread with fresh vegetables, such as carrots or celery, for an especially healthy treat. The recipe yields 1 cup. Pulse the olives and walnuts in a food processor until finely chopped. Put the olive mixture into a mixing bowl. Stir the olive oil, mustard, garlic, and seasonings into the olive mixture until thoroughly combined. Vitamin C, such as that found in oranges, enhances the absorption of iron, an important mineral that plays a crucial role in maintaining energy levels, notes the Mayo Clinic. Though not singularity responsible for energy levels, it does play a part in the complex energy system. You can nibble on dried orange chips throughout the day just like other traditional forms of dried fruit. 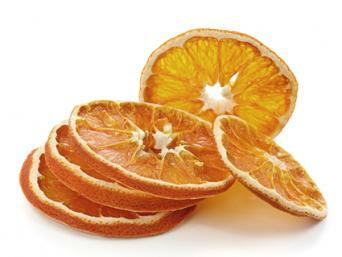 Choose seedless varieties of oranges for optimal results when it comes to making this recipe. Preheat your oven to 120 degrees Fahrenheit. Wash all the oranges thoroughly. Using a sharp knife or mandoline, cut the oranges into 1/4-inch slices. Put the orange slices on parchment-lined cookie sheet about one inch apart. Bake the orange slices for five to six hours, or until the slices are brittle. You may need to flip the slices halfway through the cooking process to ensure an even texture. Getting an energy boost doesn't have to mean drinking a cup of coffee or an energy drink for a caffeine energy boost. Instead, consider these fast and tasty snacks that can provide you with more energy.